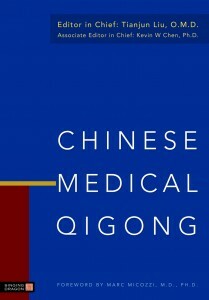 Chinese Medical Qigong is the third edition of the only official textbook of medical Qigong, Qigong Study in Chinese Medicine (Zhong Yi Qi Gong Xue 中医气功学 in Chinese), used in colleges and universities of traditional Chinese medicine (TCM) in China. This book is the result of the collaborative efforts of more than thirty faculty members in a dozen colleges and universities of TCM in China. It represents the highest level of academic research and the broadest compilation of clinical applications on medical Qigong today. This unique book is a systematic survey of the history, methods, transformation, and development of ancient Chinese mind-body cultivating skills, currently known as Qigong. This text focuses on medical Qigong as a study discipline in the 21st century, and on cultivating Qi for the health and healing. It offers concepts, examples, background, techniques, and historic and contemporary methods for refining and implementing body-mind exercise in the framework of life nurturing and healing. Since it encompasses numerous individualized internal cultivation skills and processes, Qigong resembles many different things throughout its history. If you ask 100 Qigong practitioners what Qigong is, you may get 101 different answers. Historically what we now call Qigong has had many different names that reflect the various aspects of the mind-body cultivation. 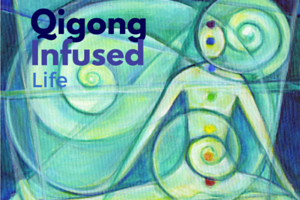 These terms give us a more complete picture of the long, diverse, and rich history of Qigong. For example, names such as Tu-na (吐纳 – exhalation and inhalation), Dao-yin (导引- guiding and conducting exercises), An-qiao (按蹻- massaging/stepping on the body), Lian-yang (练养 – refining and nourishing), Xiu-lian (修炼- cultivating and refining), Xiu-xing (修行-cultivating the virtue), Xiu-zhen (修真 – cultivating the truth), Jing-zuo (静坐- tranquil sitting, or sitting meditation), Ming-xiang (冥想 – meditation), Yang-sheng (养生 – life-nurturing), Cun-si (存思 – mind-visualization), Guan-xiang (观想 – observing-imagery), and Xing-qi (行气- circulating Qi) are themselves explanatory and are indicative of Qigong’s origins in internalized self-care exercises and life-nurturing activities. With such a historical perspective, it is not hard to realize that all meditations will be called “Qigong” in China, and many mind-body practices in the Western, such as deep breathing, guided imagery and Reiki, have all been important part of Qigong. Many people have been practicing Qigong skills without knowing them. When did these ancient cultivation and refinement methods (修炼法门) become “Qigong”? Scholars agree that Mr. Liu Guizhen (1920-1983) and his Tangshan Qigong Sanitarium (唐山气功疗养院) in the 1950’s renamed this long and revered tradition in modern China. The term “Qigong” reflects the fact that the form promoted by Liu — Inner Nourishing Qigong — was based on breathing with an emphasis on cultivating Qi. While the term emphasizes the aspect of “cultivating Qi” and breathing (Qi also means “air” or “breathing” in Chinese), somehow it downplays the components of “adjusting mind” (or “cultivating Shen or spirit”). However, in the process of integrating three adjustments (adjusting body, breath and mind) into Oneness, any one of the three can dominate the cultivating process. “Qigong” is really an all-inclusive contemporary term that applies to all traditional mind-body-breathing integration exercises and techniques. The practices and implications of Qigong encompass much more than simple breath work, mind-body exercise, or life nurturing. Our definition of Qigong, “the body-mind exercising skills that integrate body, breath and mind adjustments into one” (see p. 15), is the result of long-term academic debate, signaling a significant contribution of this book to the field of Qigong study. Some people may not agree with this definition, but it is better than most existing ones. For example, some may not understand deep breathing or guided imagery as variants of Qigong. Explanations in this book should help clarify such issues. Historically, both of these, deep breathing (Tu-na) and guided imagery (Guan-xiang), have been operational skills of Qigong practice. The key to differentiate them from Qigong is to examine whether the breathing and the imaging skill is part of a process leading to Oneness state. Deep breathing performed to reduce tension is a simple relaxation technique. When performed to reach mind-body integration or achieve tranquility deep breathing becomes Qigong or a Qigong-related skill. The same is true for guided imagery. Visualizing oneself in an imaginary landscape in order to relax may not be Qigong. However using visualization to achieve tranquility or reach mind-body integration, also known as “using a single idea to replace a thousand random thoughts” in Qigong cultivation, is definitely a Qigong technique. As you will see in this book medical Qigong represents only a small portion of the general Qigong traditions. The high level of medical Qigong practice, such as the “Oneness” status discussed in this book, may just be the beginning of true Qi cultivation and Dao illumination. 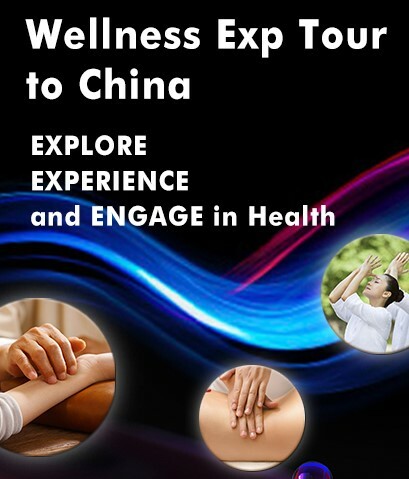 This book puts these ancient arts and techniques into the context of TCM and modern scientific research to help practitioners understand medical applications of Qigong more completely and cultivate Qi more effectively. Most people understand that Qigong is a good exercise for health; however, many, even those who practice Qigong regularly, are not ready to include it as a branch of medicine. Can the practice really be used in diagnosing, treating, and preventing illness? This book, a standard textbook in Chinese medical schools for years, and the ancient texts it is in part based on may well help resolve any such doubts from the perspective of history. Readers may be surprised to see so many Chinese medical classics focus on Qigong therapy. 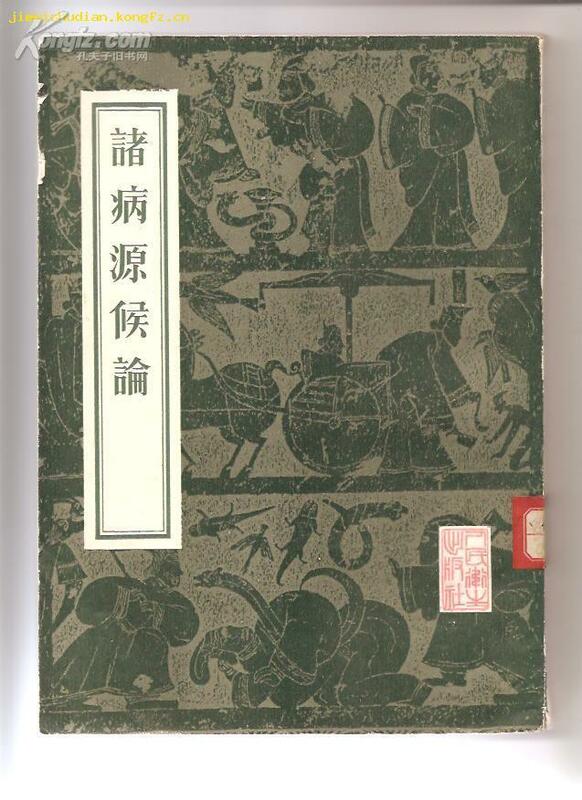 For example, The General Treatise on the Etiology and Symptomology of Various Diseases (诸病源候论), completed in 610 A.D by the royal physician Chao Yuanfang (巢元方), is a 50-volume monograph on etiological factors and pathogenesis. It may be the oldest specialized medical text to explore such diagnostic factors. It includes 67 subjects and 1739 items and records 213 various “health-preserving Daoyin movements” (Qigong) for 110 different symptoms. So many Qigong forms for varied diseases and symptoms packed into one medical classic are unprecedented in medical history. This and other historical classics and the practices they described constitute the origin and medical aspects of Qigong study as a discipline, and are the theoretical basis and core of this book. This book focuses on the medical aspects of Qigong, not on Qigong as a general life-nurturing or spirit-cultivating practice. Qigong has always been more than mere medicine, although it precedes all other modalities of TCM and its health benefits have popularized Qigong around the world. Qigong and TCM are both rooted in traditional Chinese philosophy, which emphasizes the correspondence between nature and humanity (天人相应) and the theory of Yin-Yang interaction and balance. Where is the evidence of Qigong healing? Testing and replicating the therapeutic effects of Qigong are methodologically challenging. Using conventional randomized double-blind placebo-controlled trials to find clinical evidence of Qigong effects may result in disappointment. Most research scientists have little knowledge of Qigong, few of its practitioners are trained in clinical research, and there is a general lack of resources and support for high-quality clinical research. But more importantly, randomized controlled trials with their short timeframes are unlikely to reveal or to verify the true therapeutic effects of Qigong. Nevertheless, a simple but interesting study, published in China Qigong Science, may help us understand the healing potential of Qigong. Xiang-Tan City Bureau of Senior Cadres and Health Department surveyed the health care spending between 1992-1995 on 500 government officials, mostly retirees between 50 and 70 years old, who practiced Qigong on a regular basis. Instead of the increased spending typically seen in this age group, their annual medical costs were decreased by 83% on average, and 232 (46%) reported no medical costs at all. Although this survey was not randomized or placebo-controlled, the results convincingly affirm the health benefits of Qigong. What other medicine or modern therapy can achieve such a powerful healing effect? In many ways Qigong is more than just medicine. As a self-care and self-cultivation technique, Qigong is a precious gift from the ancient Chinese to all of mankind, especially considering the quality and costs of health care which are so troubling to our societies today. Unfortunately, modern science is unable to detect or explain Qigong phenomena yet, which may reflects the weaknesses and limitations of science itself. 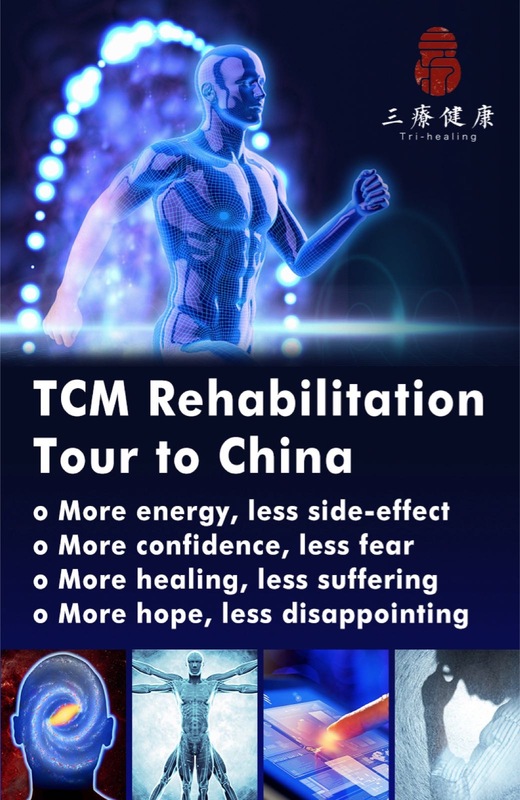 This is regrettable, not only for the development of TCM and Qigong, but also for science, medicine and humanity. Hopefully Chinese Medical Qigong and the emergence of vigorous ground breaking scientific research on Qigong and energy medicine will remedy that situation. Although Qigong as one of most important and most original modalities in TCM practice has gained increased attention around the world, no single book on the subject has covered both its academic dimensions and clinical applications. Thus Chinese Medical Qigong has the potential to become a classic, not only in the fields of Qigong and TCM, but also in the fields of mind-body practice and integrative medicine. This unique book will serve students, healthcare professionals, and those who aspire to a more systematic knowledge of Qigong in order to advance their own well-being and spiritual cultivation. Translation of such a book has been a challenging and complicated task, since even the Chinese professionals cannot agree among themselves on modern Chinese explanations for many ancient Qigong and medical terms. Imagine the difficulties for the scholars on our editing team whose second language is Chinese. 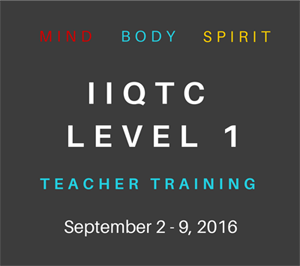 More than 20 professionals in Qigong study spent four years on this task. First a group of Beijing University of TCM professionals translated the modern and ancient Chinese into English, focusing on respecting the original Chinese meanings. Then a group of bilingual American Chinese with TCM training double-checked the accuracy of the English translations against the Chinese texts and smoothed out the English as best they could. Finally, a group of native English-speaking Qigong scholars and professionals edited and finalized the text for English language readers. It is a great honor and privilege for me to have worked with so many professionals and to have participated in organizing such a rewarding project. 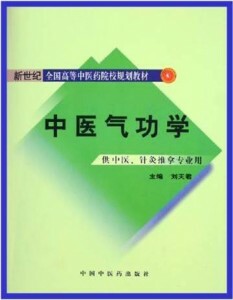 Even when accurately translated into the English language, Chinese philosophical and medical concepts derive from an intellectual and social context that is unique relative to that of English speaking readers. In the process of translating and recreating of the English edition, the East-West differences in language, culture and health practices resulted in quite a few clashes and integrations. It has been truly a learning and constructive process for all of us. Fortunately, with modern technology, we could easily debate in emails with an occasional telephone call to ask questions or discuss an issue interactively. In some cases the English-speaking scholars have helped to correct miscommunications or mistakes in the original Chinese text. But most of the time the original text contained a truth that simply needed to be expressed through an appropriate English term or explanation. For example, the English-speaking scholar who is also a long-term Qigong instructor could not understand why the text suggests that the patient stop practicing the prescribed Qigong when the diseases have been cured, since most Qigong instructors encourage students to continue Qigong practice even after an initial problem has been resolved. The key here is the difference between medical Qigong and health Qigong (a.k.a. Jian-Shen Qigong). In health Qigong, daily practice is highly recommended even when no disease is present. However, in medical Qigong, as in other TCM modalities, a prescription may have both benefits and side effects. Over-practice or long-term practice may no longer be beneficial, and sometimes, even complicate the physical condition. After discussing this difference, we decided to add a discussion on the distinction between medical and health Qigong to point out the fact that this book concerns Qigong’s medical applications, not general life nurturing and health preservation. The later is the subjects of a different TCM discipline – life-nurturing science. Finding appropriate English terminology to reflect the true meaning of the Qigong terms was one of the greatest challenges in the translation and editing. Understanding of original Chinese terms, the degree of personal Qigong practice, and mastery of the English language all played important roles in these processes. The scholars from different backgrounds and cultures made some significant progress in this front. As a result of cultural exchange and mutual improvement, we developed a large glossary as an addition to the field of TCM Qigong study. For example, Wù or Wù Xing (悟 or 悟性), an important concept in Qigong cultivation, previously has been translated as “sudden understanding,” “instinct,” or “comprehending.” However, Wù (悟) is used as both a noun and a verb in Qigong literature, and has more meanings in Qigong than comprehending or understanding. Should we find a better word for this subtle concept? After intensive discussion, our final translation of Wù is sagacity, or illuminative understanding, further explained as “the instinct of comprehending the ineffable; an indirect way to comprehend things, referring to knowledge inferred from metaphors, symbols, etc.” In Qigong practice Wù may also imply the ability to integrate the comprehended knowledge or the ineffable into one’s Qigong practice so as to eventually be united with the Dao (合道). 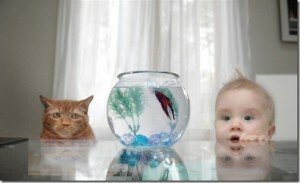 In the Western cultures there is a tendency to find a single comprehensive answer to any scientific or social question. However, in the Eastern cultures it is common for a wide array of correct answers to be embraced within ancient bodies of knowledge and wisdom. This is especially true in Qigong study, since Qigong practice is such an individualized internal experience, and its knowledge system is heavily influenced by the individuals who contributed more to the literature than others during a specific period of history. In other words, the literature reflects the inner experiences of the most influential Qigong practitioners of the time. What is true for one person at a specific time or stage of practice may not be applicable to all practitioners at all time. Therefore, it is important for all of us, the editors and readers, to keep an open mind to this category of knowledge, and process them accordingly. Some revisions in content are also the result of blending East-West perspectives. For example, in the section “Qigong in other countries,” the original text was written from the perspective of Chinese scholars within China since it was a Chinese textbook. But readers of the English edition will mostly be non-Chinese living outside of China. We have to make many adjustments in this section. For example, the original text stated that the massive spread of Qigong throughout the world started in the 1980s. However, some of our consulting editors started learning and teaching Qigong in the U.S. as early as the 1970s. We allow the editors to add footnotes reflecting their own perspectives or historical truths in order to offer readers a more comprehensive view of these matters. To coordinate the complicated multi-level translation and editing, we used the following guidelines. We include them here to help readers understand the contents better. The English edition of this book is the result of the collective efforts of a group of professionals in TCM and Qigong. To truly reflect the original meanings of Chinese texts and to deliver a translation of the highest quality, three layers of translating and editing were employed, as mentioned previously. In the last group of consulting editors are two western MDs with experience in mind-body medicine or Qigong and three Qigong scholars well-known in America, each of whom has already published best-selling Qigong book. Without their thoughtful input and final edits, this book would be very different. Kevin W Chen, Ph.D. MPH (University of Maryland) – Introduction, Chapters 1, 2, & 3, and overall final checking. Xiao-Mei Qiang, L.Ac. (TCM practitioner) – Chapter 8 & 9. In addition, we would like to thank the following professionals who have helped in the proofreading and editing of some sections or chapters: Marty Eisen (Ph.D), Yuqing Guo (Ph.D), Pan He (B.A. ), Phillip K. Shinnick (Ph.D. L.Ac. ), Chun Man Sit (Taiji & Gongfu master), and Joy Staller (BA). The translation and editing process was partially supported by grants from the International Advanced Plan of Beijing University of Chinese Medicine and from the World Institute for Self Healing, Inc. (WISH), a non-profit organization in New Jersey dedicated to promoting Qigong, self-healing, and mind power through research, education and networking. Last but not the least, we truly appreciate the editorial team at the Singing Dragon imprint for putting everything together in a professional way. Without their final touch, this unique book would never have become a reality. Chao Yuanfang（巢元方）. On Etiology and Symptomology of Various Diseases (诸病源候论). Beijing：People’s Medical Publishing House, 1985. Xiang Tan City Bureau of Senior Cadres, “An investigation on the effects of Qigong practice on the strengthening body, preventing and treating diseases ” China Qigong Science, 1996; 10: 29-30. This entry was posted in Book Reviews and tagged east-west perspective, introduction, Medical Qigong, textbook. Bookmark the permalink.